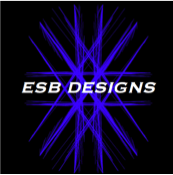 Erik S Barry is a freelance theatrical, dance and event lighting designer based in Chicago. Erik's designs have been seen at The John F. Kennedy Center for the Performing arts, The Harris Theatre Porchlight Music Theatre, and The Museum of Contemporary Art. He is the resident Lighting Designer for Underscore Theatre Company, and The Chicago Gay Men's Chorus. He received his Masters of Fine Arts degree at the University of Wisconsin -Madison campus. He has designed over 80 productions in his career. He has also designed for Chicago Shakespeare Theatre, Porchlight Music Theatre, Underscore Theatre Company, Tetro Vista, terraNOVA Collective, Chicago Folk Operetta, 16th Street Theatre, Bailiwick Chicago and The Museum of Contemporary Art. He received his Masters of Fine Arts degree at the University of Wisconsin -Madison campus. For further information, please use this site as a resource and feel free to use the Contact section.